The study by researchers at Monash University, QUT's Centre for Accident Research & Road Safety—Queensland (CARRS-Q) and the University of Melbourne's School of Psychological Sciences, is the first study to look at a road-user group with the problem of dehumanisation, which is typically studied in relation to attitudes towards racial or ethnic groups. 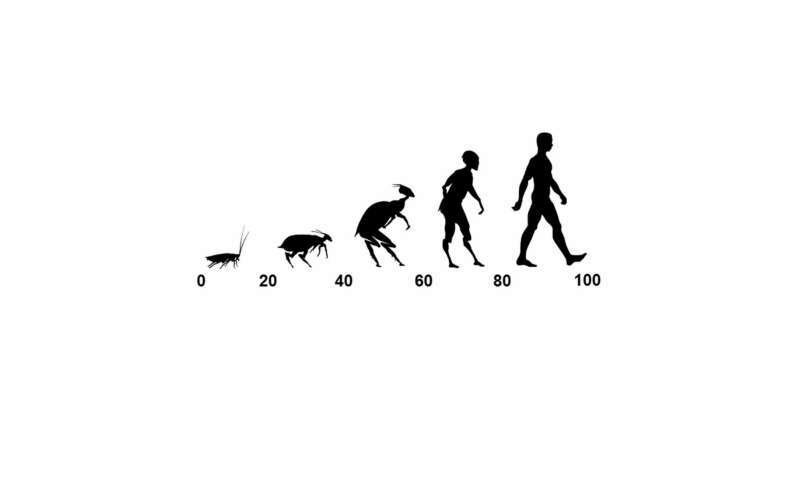 Lead author Dr. Alexa Delbosc, Senior Lecturer in the Institute of Transport Studies (Faculty of Civil Engineering) at Monash University, said the insect-human scale (below) was designed for the study because of the many informal slurs against cyclists comparing them to "cockroaches" or "mosquitoes". "When you don't think someone is 'fully' human, it's easier to justify hatred or aggression towards them. This can set up an escalating cycle of resentment," Dr. Delbosc said. "Using your car to deliberately block a cyclist, using your car to deliberately cut off a cyclist, throwing an object at a cyclist—these acts of direct aggression are dangerous." An interesting study on the very wide field of human stupidity. Fortunately, one can step down from the bike, not so lucky stepping down from the brown skin, or the woman's body. It seems as though the only people dehumanizing anyone are these angry motorists-- and they're dehumanizing themselves rather than the cyclists! Very interesting, particularly the conflation of Culturism beyond cycling as a culture. The "stepping down" comment is apt. Is a non-male cyclist of color doomed? I wonder what they think of pedestrians, motorcycle riders, and rollerbladers. Dog recognizes Dog. Apparently, most Australian car drivers are less intelligent than a dog. They should deport them to some far away island. I blame the people in government and their dehumanizing education system. This seems a country-specific issue. Where cyclists are more common I'm sure such behavior is much less prevalent. In many first world countries it's as common to learn how to ride a bicycle as it is to learn how to swim. If you have ridden a bicycle in your life you an empathize with cyclists. I've noticed something similar when learned to ride a motorcycle. Once you know how to do this you suddenly become a lot more aware/understanding (while driving a car) why motorcyclist behave the way the do on the road. E.g. why motorcycles often 'hide' behind your C-pillar - which seems patently stupid from an automobilist's POV - until you realize it's the natural spot to be for the motorcyclist to get an overview of what happens further ahead.